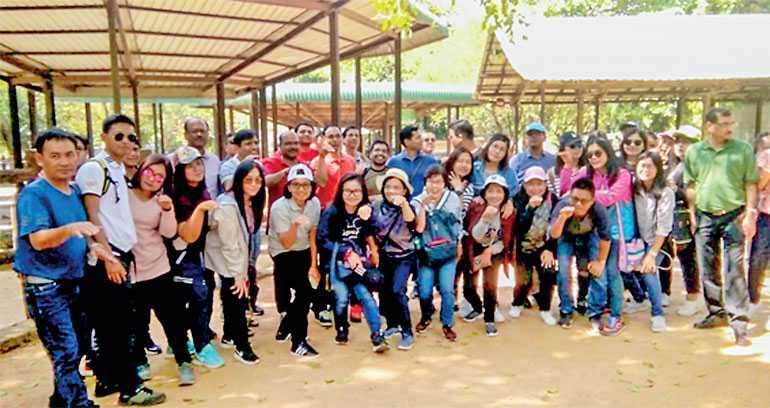 Ebert Silva Holidays handled a group of 114 professionals from the esteemed Aditya Birla Chemicals (Thailand), a subsidiary of the renowned Aditya Birla Group for a corporate and leisure tour of 5 days in Sri Lanka. Aditya Birla Group is an Indian multinational conglomerate, headquartered in Mumbai, India, operating in 35 countries with more than 120,000 employees worldwide. The group visited many parts of the island, with the highlights of the tour being the scenic city of Nuwara Eliya, and the hill capital and World Heritage city, Kandy. 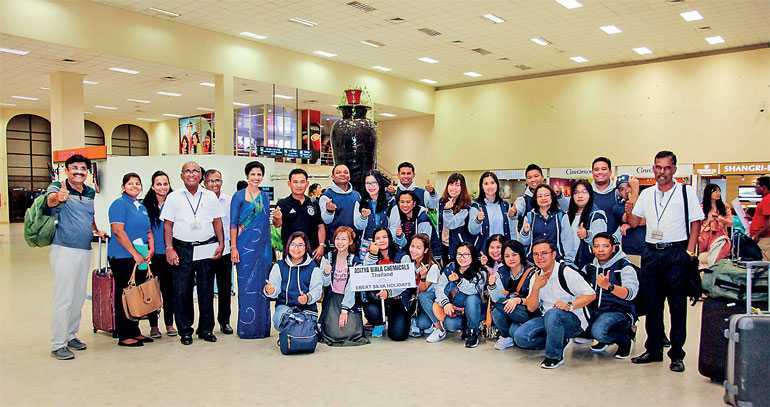 Comprising of a majority of Thai nationals and many Indian nationals, they had the opportunity to visit the most sacred Buddhist site, the Temple of the Tooth in Kandy, enabling the group to also get an insight to centuries of Sri Lankan culture and architecture. A visit to the historic Seetha Amman temple located in the village of Seetha Eliya in Nuwara Eliya was a rare and sacred opportunity for the group as well. A climb to the summit of the 5th century World Heritage Site of Sigiriya was indeed an exciting experience together, with the visit to the Pinnawela orphanage. Authentic Sri Lankan cuisine was enjoyed by the group throughout the tour. They were mesmerised by the beauty and diversity of the island, and left with fond memories to return with their families. This was the first VIP inbound group handled by Ebert Silva Holidays for the year 2019.